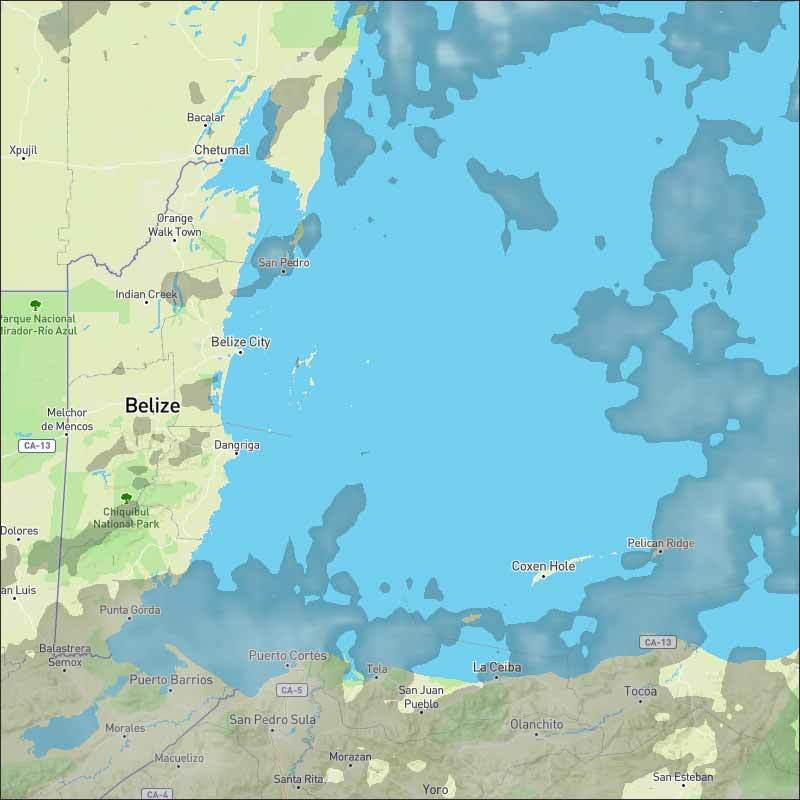 Belize NMS: Fair and dry conditions prevail. 24-hour forecast: Sunny today and clear skies at times tonight. Little or no rainfall will develop. General Outlook: For Sat. and Sat. night is for generally fair weather with little or no rainfall on Sat. and isolated showers Sat. night. Tonight NE 5-15 kts Choppy 3-5 ft LITTLE OR NO RAINFALL. Tomorrow NE-E 5-15 kts Light Chop 2-4 ft MAINLY FAIR AND DRY. Tomorrow Night E 5-15 kts Light Chop 2-4 ft LITTLE OR NO RAINFALL. Outlook E-SE 5-15 kts Light Chop 2-4 ft ISOLATED SHOWERS NORTH. A surface trough extends over the Central Bahamas. Scattered showers are observed near Jamaica, eastern Cuba and Hispaniola. GOES-16 satellite images show relatively higher amounts of moisture over the northern Caribbean with dry air over the southern Caribbean. 10 to 20 kt tradewinds cover the Caribbean with no significant convection present. Fresh to strong trade winds will continue over S central Caribbean through Tue night. Gale force winds currently occurring along the immediate coast of Colombia will return tonight and Sat night, then again Mon night and Tue night. Moderate to locally fresh trade winds will prevail elsewhere. 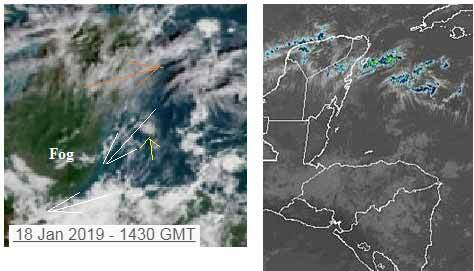 A strong cold front will cross the NW Caribbean Sea on Sunday and Monday, then stall and weaken. 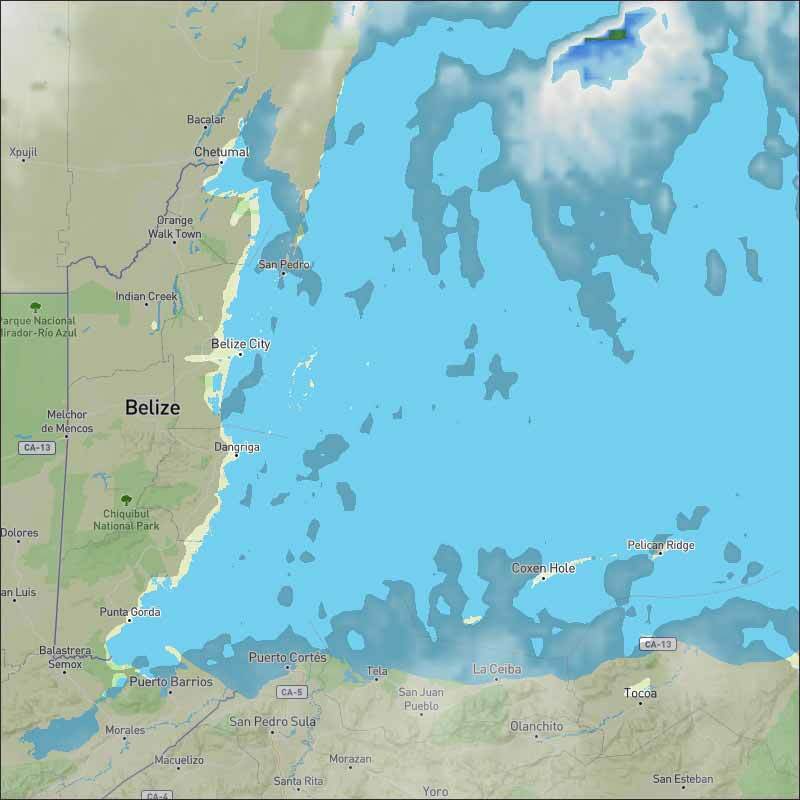 The front will reach from the Yucatan Channel to the central coast of Honduras on Sunday morning, and then extend from SE Cuba to the eastern coast of Honduras on Sunday night. Fresh to strong N winds are expected behind the front. On Ambergris Caye this morning the breeze is from the Northeast and the sea around our barrier reef is calm. 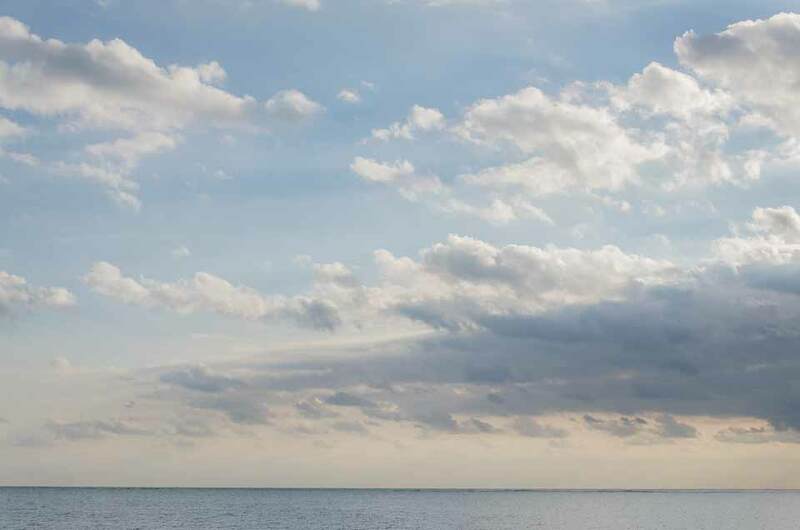 High temperature for today is expected to be in the upper 80's. The straggly lines of Caribbean clouds continue to come down from the NNE, mainly out at sea, so almost clear skies over most of Belize this morning. 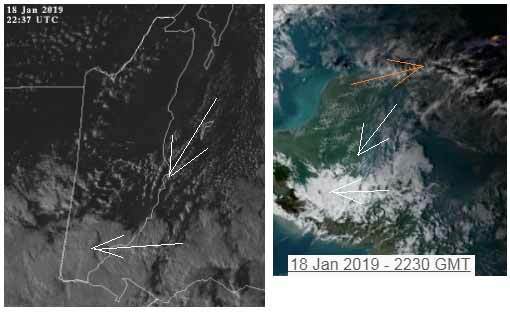 That heavier cloud is now a little further south over Honduras coast line, there appears to be a few traces of mid-level clouds moving up from the south. The high level clouds over northern Belize are very thin. Looks as if this morning will be clear skies, with white clouds developing over the day and reducing late this afternoon, no indication of any rain. Coolish air continues to come down from the NNE with more cloud coming in from the east, no rain around at present. Looks like tomorrow Sat 19 will be fairly similar to today. Cloud in the south, clearer skies in central and the north, probably no rain.